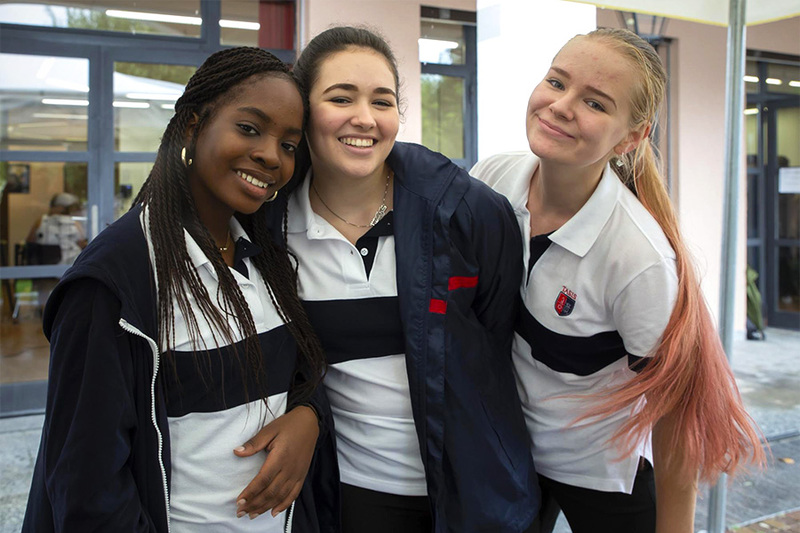 Classes for the 2018–2019 Academic Year began on the morning of Monday, September 3, and TASIS opened the year with 705 students. Below are a few notes about this year’s student body. The Elementary School (grades Pre-Kindergarten through five) opened with 190 students, the Middle School (grades six through eight) opened with 125 students, and the High School (grades nine through postgraduate) opened with 390 students. 181 students are new to TASIS. 524 students are returning to the School, marking a strong retention rate of 86 percent. The Class of 2018 (106 seniors) is slightly larger than last year’s graduating class of 103. The 20 Middle School boarding students are all new to TASIS, as last year’s group consisted solely of students in grade eight. 60 percent of High School students are boarders while 40 percent are day students. 57 nationalities are represented in the student body (see list below). 35 different languages are spoken as a mother tongue (see list below). The ten nations most represented in the TASIS student body are, in alphabetical order, Brazil, China, Germany, Italy, Russia, Spain, Switzerland, Turkey, the United Kingdom, and the United States. New nations added to the student body this year include Argentina, Czech Republic, Moldova, and Pakistan.